The Give Responsibly campaign aims to alleviate the burden of the homeless, two parents have an ambitious plan to help their two-year-old receive a cochlear implant and two organisations have joined forces to support youth development in the Winelands. This week Eikestadnuus‘s Danie Keet reports on the feel-good stories currently uplifting the community of Stellenbosch. A new initiative by the Stellenbosch municipality will attempt to alleviate the burden of destitute people living on the streets of the town. 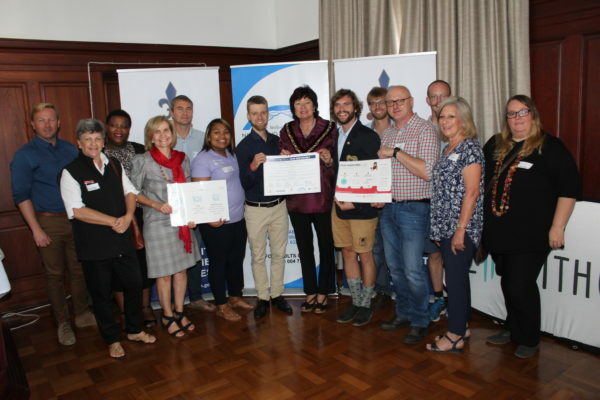 At a launch function last Friday, Stellenbosch Mayor Gesie van Deventer introduced the new voucher project, run in cooperation with a number of charity organisations and private business owners. “We want to educate the public that it is better to provide destitute people they wish to help with a voucher to use as a means to buy food, a blanket or shelter for a night than to give them money. “This system also enhances self reliance, ensures dignity and will contribute to prevent destitute people from begging for money,” Van Deventer said. She said destitute people living on the street are a universal concern and a challenge that is not unique to Stellenbosch. Although there are many organisations that try to assist, isolated efforts can only go so far due to limited resources. The Stellenbosch Give Responsibly campaign is a culmination of months of talks and cooperation between various non-governmental organisations, stakeholders and the municipality. 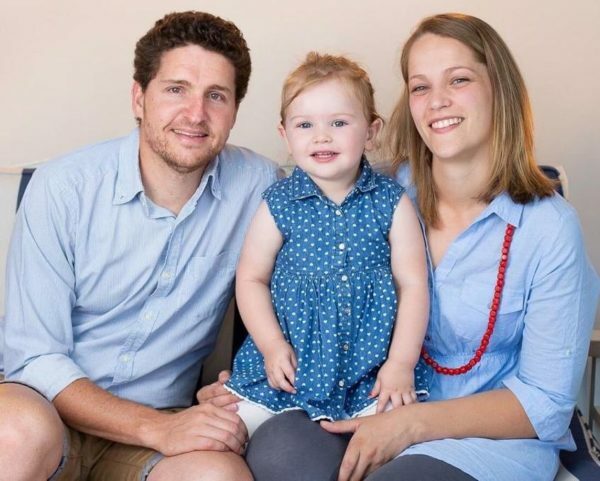 Vanessa Reyneke, a project coordinator in the general linguistics department at Stellenbosch University (SU), and her husband have embarked on the ambitious goal of raising R300 000 to enable their 2-year-old deaf daughter to receive two cochlear implants simultaneously. A cochlear implant is “a small electronic device that partially restores the hearing function of a damaged inner ear.” While hearing aids amplify a sound, cochlear implants fulfil the role of the inner ear to deliver sound signals to the auditory (hearing) nerve of the brain. An implant does not restore normal hearing, but instead it can give a deaf person a useful representation of sounds in their environment and help him or her to understand speech. Medical aid schemes only pay for one cochlear implant per individual per year, and operations last between four to six hours. In a bid to save their young daughter from undergoing the trauma of major surgery two years in a row, the family has decided to take the bold step of having both cochlear implants inserted during one operation. Also driving the urgency is the fact that Karli’s hearing is deteriorating by the day. With her operation scheduled for May, the family now has only six weeks left to raise R300 000 to cover the implanting of the second device as well as the hospitalisation costs. Vanessa explains that the family first noticed that all was not well with the little girl’s hearing when she was just shy of 4 weeks. “We started noticing with growing concern that Karli did not react to the loud barking of the dogs or any loud noises,” said Vanessa, who is also deaf. Aware of what this may mean, the Reynekes took the nearly 1-month old Karli for tests, which confirmed what they had suspected. She had bilateral moderate-severe to profound sensorineural hearing loss, a complicated term for profoundly deaf. It is not uncommon for different organisations to work together, but what makes the partnership between the Pinotage Youth Development Academy (PYDA) and Usiko different, is that their work complements each other’s goal of advancing and developing young men and women. PYDA is a year-long work readiness programme that develops 18 – 25-year-old, talented, previously disadvantaged South Africans for employment in the wine and tourism industries and related sectors such as hospitality. The curriculum consists of 40% industry-specific vocational training, 40% personal development and 20% practical work placements. The personal development aspect of the programme is PYDA’s unique selling proposition and the differentiator of the training programme. This is where Usiko’s wilderness therapy camps contribute significantly as students are confronted with who they are and where they are heading in life. The wilderness therapy camps also provide a safe space for inner reflection and mentorship. Corporate wellness programmes are gaining popularity worldwide, and have become common to American businesses of varying sizes. 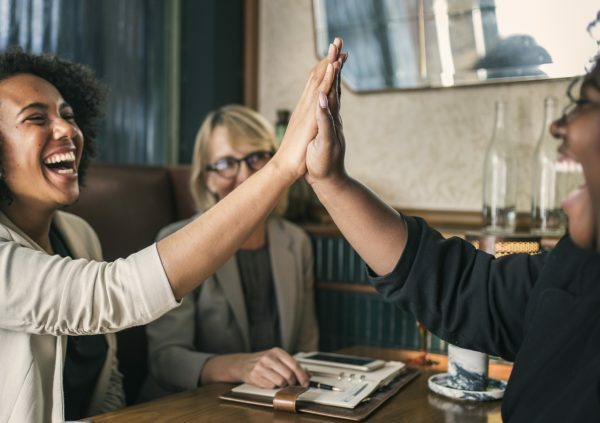 When implemented correctly, wellness programmes give employees incentives, tools, social support, privacy and strategies to adopt and maintain healthy behaviour. Mountains of evidence show the benefits of wellness. Think of the different benefits employers typically offer, e.g. a retirement or pension plan, health care, paid time off, or maternity leave. These are designed to help your organisation recruit and maintain qualified employees. Yet there is not a single published study that shows that offering these benefits has any measurable effect on its worksite’s ability to recruit or maintain workers. Now consider a workable wellness programme. Unlike all the other benefits your worksite offers, corporate wellness programmes have been studied for decades. There are enormous amounts of very solid data that show the benefits of having a wellness programme.